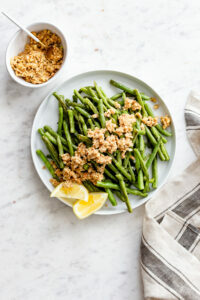 This Lemon Almond Green Beans recipe is one that I make often because it’s ridiculously easy. 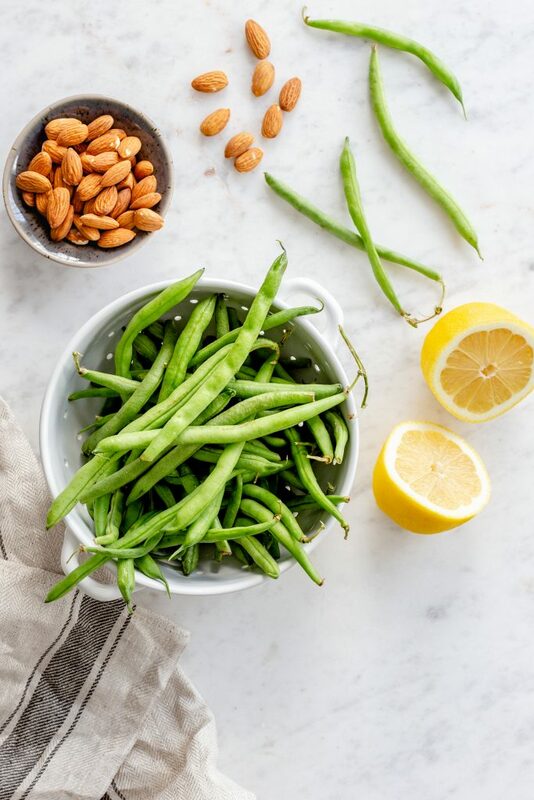 Steam or roast the green beans, pulse a mixture of lemon juice, garlic and almonds in your food processor, top the beans with the chopped almonds and you’re done. If plain veggies don’t excite you, but you don’t want to spend 40 minutes making an elaborate side dish, this recipe is for you. The nice thing about the lemon-almond crumble is that it works with so many vegetables–zucchini, broccoli, asparagus, cauliflower, and Brussels sprouts would pair nicely, and I’ve even sprinkled leftovers on a salad. Add some nutritional yeast for a vegan Parmesan substitute, which is also delicious for pairing with fresh summer vegetables. A 5-ingredient side dish that's perfect for summer. 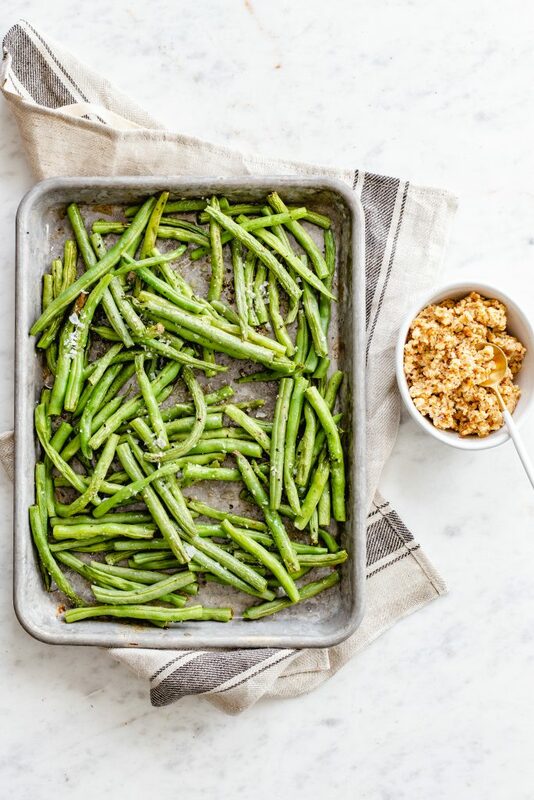 Toss the green beans with 1 tablespoon of olive oil, salt and pepper on a sheet pan. Roast the beans for about 10 minutes, or until tender-crisp. 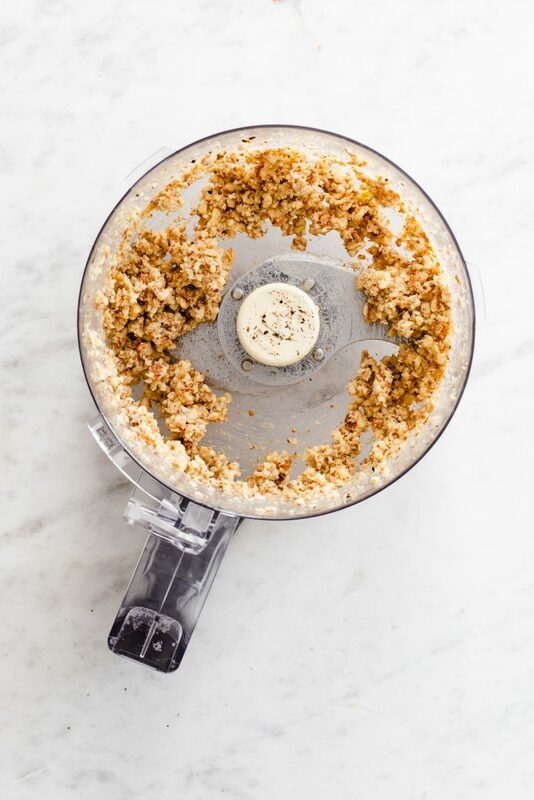 While the beans are cooking, combine the almonds, lemon juice, garlic, and remaining olive oil in a food processor and pulse until roughly chopped. Season to taste with salt and pepper. Transfer the green beans to a serving platter and top with the almond crumble before serving.